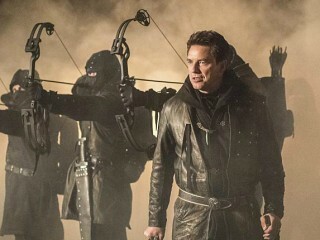 Holding the secret to saving Thea’s life, Nyssa tries to force Oliver to hand over Malcolm Merlyn and leadership of the League of Assassins. Meanwhile, Felicity learns that her long-absent father is a high-powered criminal. Oliver (Stephen Amell) receives an offer from Nyssa (guest star Katrina Law) that is hard to refuse. Meanwhile, Thea (Willa Holland) continues to battle the blood lust, Malcolm (John Barrowman) steps in to help his daughter, and Laurel (Katie Cassidy) has a heart to heart talk with Nyssa. Gordon Verheul directed the episode written by Ben Sokolowski & Keto Shimizu (#413).